Opposition Zapu spokesperson Iphithule Maphosa has said the coalitions which were built during the era of Robert Mugabe who was stubbornly refusing to leave office can not be dismantled now in the advent of the new political dispensation because his system remain in force. Mugabe ruled Zimbabwe for 37 years and was refusing to leave even when age and health was at the brink of forcing him out. 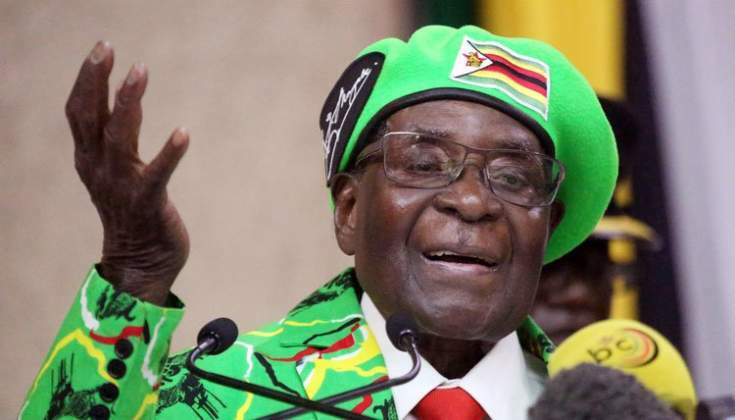 "Coalitions, in their current mould and fabric, has their creation informed by the refusal to leave power by one stubborn Robert Mugabe, who ruled this country with an iron fist since 1980. The fast events in the political discourse of November 2017 have taken out the stubborn stain on the political garment that is Zimbabwe. In the aftermath, is it not time to rethink around the moulding of these coalitions, noting that we now have only the system that Mugabe inculcated in all our minds and lives-what I will call mugabeism," Maphosa said. "The suppressive system, that was designed by colonialists to oppress and subdue certain sections of our greater society, that has watered the dictatorship that was on the verge of becoming a dynasty had its foundations shaken with the removal of Mugabe, its chief proponent. Now, with its shakey foundations, with walls full of fissures, we need to introspectively interrogate the coalitions we make towards the impending elections. Are we all going to be pooled in one basket even when we do not agree on most if not all fundamental issues that inform our existence as diverse political formations?" He said should they ignore those matters that separate or divide them for the sole and simple reason of removing that which is already on its way out? "Should we deny our loyal members and supporters who are genuinely convicted to our different ideologies and policies only yo remove that which is naturally on way out? My party, ZAPU is a revolutionary movement that will not compromise our sovereignty for western donor funding, so should my fellow ZAPU converts swallow the bitter pill of dancing to the western or Chinese tunes simply because we think ZANU can only be removed by a coalition? Well, that being the argument, are we not supposed to have a converging point for a strong and authentic coalition other than grabbing state power from the ever failing ZANU? Fine, assuming we manage ton have the coalition, has anybody asked what happens after winning?" he said.